It’s the end of yet another year – how are we here again already?! The end of a year always seems to be a time for reflection. So much has happened this last year for us. Z and S have grown up so much. I finished my teaching diploma and got my first teaching job. J moved into contracting roles after losing his job right before Christmas last year which has given us more income and allowed us to change our lifestyle. We have moved back to our beloved inner city Melbourne, and we are finally travelling more frequently again! 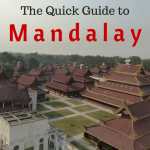 Since this is a travel blog, I’m going to concentrate on the last point – travel! We finally had some long trips again for the first time since having kids.- 7 weeks in Asia and 7 weeks and still going in North America. This has really changed my outlook of travel and what I want it to mean to us as a family, at least in the short term. I travelled A LOT before having kids, but once I had them, I thought I would have to wait until they were a fair bit older before we would be able to travel much. I just didn’t think it would work. I am so glad I was wrong! I am thankful to the travel bloggers who I stumbled across last year who showed me that I was wrong and gave me the courage to give it a go. The main ones were with 2 kids in tow, it’s backpacking we go, Travel with Bender and our Travel Lifestyle. I hope that this blog helps to encourage others as well. This is all not only possible with young kids, but fantastic! 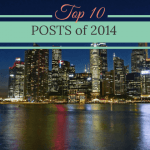 Anyway, here are my top ten travel moments of 2013! 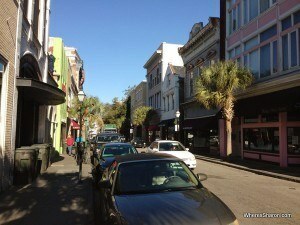 Charleston is now one of my top places in the USA. We had a great day exploring Charleston’s Historic District and the USS Yorktown – a US aircraft carrier. Charleston’s historic district is just gorgeous and made for walking around exploring which is my favourite activity while travelling. Our visit to the USS Yorktown was fascinating. It was very interesting being able to walk all around this vessel and getting an idea of what life would be like living on such a ship. 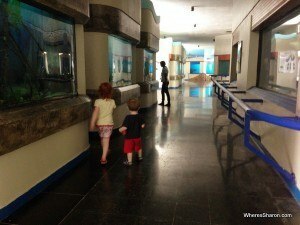 Last week, we had a perfect family travel day in Santo Domingo visiting the National Aquarium (or Nacional Acuario if you would prefer) and Agua Splash Caribe. We all had a great time visiting this low key, but perfect for families, aquarium, playing in their park and then splashing around in the water park across the road. It was awesome! 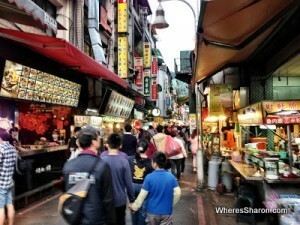 We love food and we love travel, so the night markets in Taipei are a perfect combination for us! We loved eating our way through Taipei, the best city in the world to visit for food in my opinion. Despite rarely knowing what we were ordering, we only ate good food here. And it was lots of fun! I’ve always wanted to stay in an over water chalet. I am not exactly sure why, I guess it just seems like the ultimate in luxury to me. It is just gorgeous having the sea lapping all around you and we loved our stay here in Port Dickson. 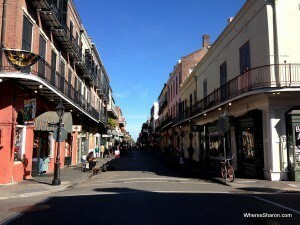 I had high expectations of New Orleans and they were exceeded! The French Quarter is just gorgeous and covers a fairly large area. Just walking around this quarter was lovely and we loved our stay here. Say what you like about cruises, but it is nice to not have to worry about barely anything. This is the first time travelling with kids that I have actually felt like I have had a break. It was so nice not to worry about where our next meal was going to come from or keeping our room clean. I can’t stop daydreaming about doing another one. My little baby turning one was obviously a big moment for us and getting to spend it as a family on Boracay was just magical. I couldn’t have asked for a better birthday for my baby boy. This may seem random, but I often think about the absolutely fantastic time S had in this room. 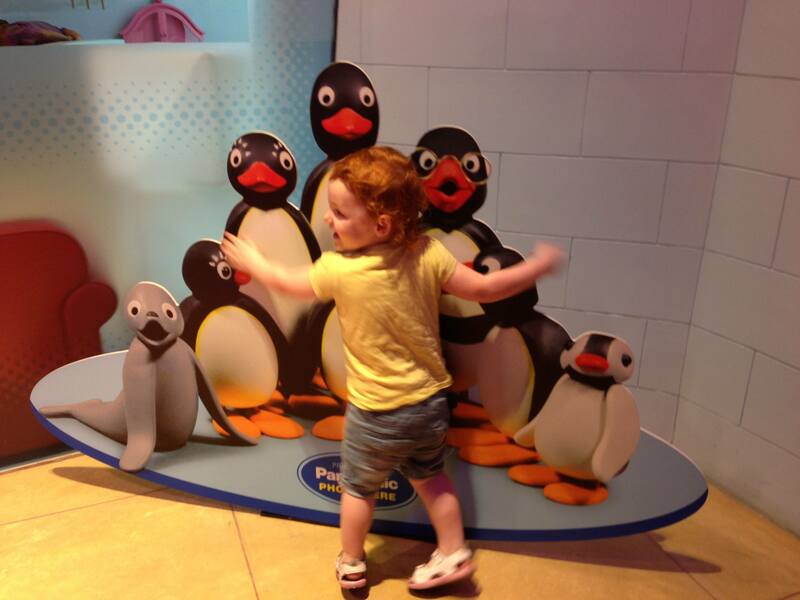 She is a massive Angelina Ballerina fan and the look on her face was just priceless. She often asks if we can go back. I have wanted to do a US road trip seemingly forever, and it was a great feeling to finally accomplish this! It was so much fun and the kids got into it too. S actually cried when I told her it was over. I don’t think I will ever not smile when I hear the song, “On the road again”. We played this song at the start of every car journey! 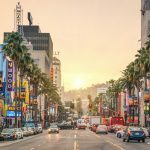 The best travel moment this year? 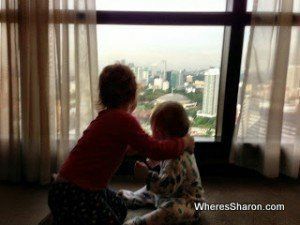 Definitely when we arrived in our KL hotel at the start of our Asia trip with our 11 month old and 2 year old. We had just flown the 8 hour journey from Melbourne – KL and caught the bus in from the airport. We had not only managed to do this with the kids, but it had actually been enjoyable. It was such a great moment, not just because of the sense of achievement, but because we realised that we had no reason to avoid future travel because of having young kids. We all loved family travel!! What was your top travel moment this year? Christmas in Cabarete, Dominican Republic! When we get back one day, you will have to give us some tips about what we should order!! We had no idea, but I think that shows how awesome the food is in general as it was still all delicious! It is nowhere near as hard as people imagine to travel with children. I think it can seem impossible before you have them as it seems like so much hard work, but day to day life is hard work with young kids regardless of where you are. May as well be somewhere awesome!! 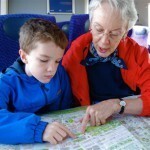 Hear hear to the comments about travelling with children. It’s not as scary as it sounds (which is to say, no scarier than everyday life). Although I can see how people who find travel challenging in the first place would be daunted. Still, there’s plenty of ways to start small and simple if you want to feel your way slowly! For sure!! Once I thought about travel with kids logically, it was fine. I think the problem was that I just ruled it out because that’s the general consensus on overseas travel with baby and toddlers and I never bothered thinking past that. I am surprised I did that now!! I’m not usually so easily led. Wow what an amazing year you guys had! Amazing you did it with the kids and so special that some of their first memories will be out on the road with Mom and Dad! Thanks Jeff! It has been an amazing year, we are very lucky. 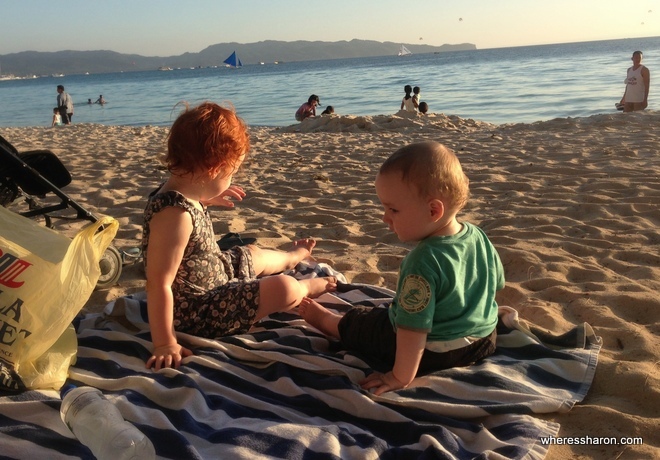 They are certainly going to have a more interesting childhood than what I did – I barely left Tasmania! Wow I didn’t realize how well traveled you guys are. We so can’t wait to get over to Asia! We hope that it will be one of our first destinations in 2014! Asia is awesome and SE Asia would have to be the best budget travel destination in the world. I’m sure you guys will love it! Sharon, it seems like you had an awesome year. I admire your courage to do long trips with such a small kids. Chapeau! Wishing you and your family a fabulous 2014! Wowzers! That’s a lotta places, and a lotta places with kids. 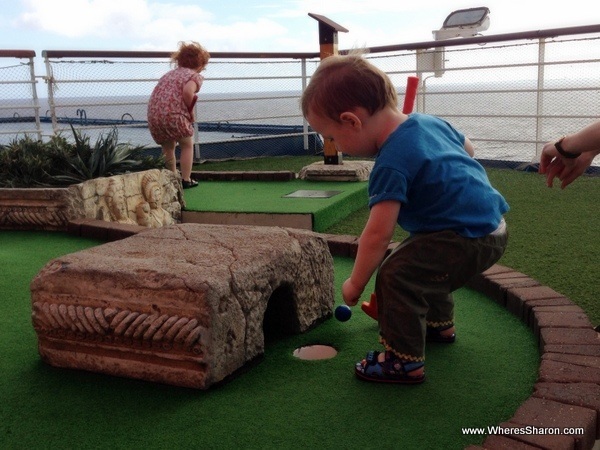 GO YOU, I find families who travel so inspirational, as I struggle with one toddler! HAPPY NEW YEAR! You need to have another kid, then that doesn’t seem as hard anymore 😉 I think what parents forget when they think about travel is that at home, generally both parents aren’t around all the time. When we travel, we are both here so it is so much easier than wrangling them at home by myself. Happy new year to you too!! Well you have become a little bit of inspiration to me, so thanks. I’m so impressed that you’re able to do so much traveling with the kids in tow. Give me hope that when I decide to have kids I can keep on globetrotting with them! Hears to a great 2013 of travel! You certainly had an amazing and busy 2014! 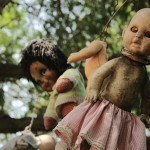 What great itineraries and experiences for the whole family. I’m glad you’re traveling with kids in tow. As a fellow family traveler, I can appreciate and empathize traveling with the younger set. Mine are a bit older now and traveling when they’re young really does make a difference as they get older. Congratulations on what you’ve been able to accomplish too. Glad you loved cruising. I always love feeling pampered on cruises too – we’ve been on 12 🙂 Wishing you and your family the very best in 2014! Safe travels! That’s good to hear!! I hope they remain good travellers. I’m hanging out at the moment for them to get a little bit older so I can handle travelling with them alone. 12 cruises, wow!! I wish they weren’t so pricey in Australia so I could do them more often! What wonderful memories and beautiful pictures of your family enjoying these places. Looks like you had a busy and fun year! Our top travel moment was seeing the Northern Lights in Iceland to start our year last year. It’s been an awesome year! Seeing the Northern lights would be amazing!! 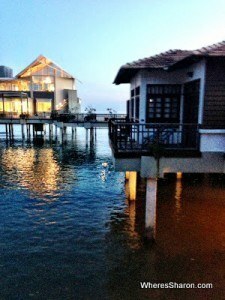 The water chalets at Port Dickson look great! We would love to see Malaysia some day. We’re in the process of relocating our homeschooling family of me, the wife, and five children to western Panama, so it will be a while before we get outside of our new general location – but we do share a love of travel and adventure. Blessings! Wow moving 7 of you must be quite a task!! I’m sure Panama is great too. I really need to get there sometime as I have seen most of the rest of Latin America. Good luck with the move!! “On the Road Again,” that’s brilliant. 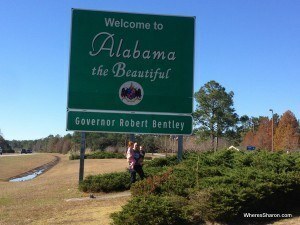 I’m so glad you enjoyed your road trip across the South, even though the cold weather kept you from Memphis. Maybe next time. Yes, just reading that song title brings a huge grin to my face!! It was so much fun, even my one year old would say the “again” of the refrain. Missing out on Memphis was disappointing but just means we have to go back!! I loved traveling with my children when they were growing up. I feel I had so much more interaction with the locals, especially women. Looks like you had a fantastic time in 2013. Hope that 2014 is as fulfilling! Yes for sure, I feel the same. it is great how much everyone warms up to our kids, although sometimes too much with my red head! !